This November, Harrowden Turf Ltd will be exhibiting at the Futurescape Show in Surrey. Find out what’s on show in this article. Kevin and Mark will be manning the stand as only they can. These two have an unmistakeable flair for showing our products at their very best. The dynamic duo are also very good at coming up with uber-competitive prices for trade customers. Harrowden’s core product is of course amenity lawn turf. As you probably know, Harrowden Turf is the new (ish) name for the amalgamation of Q Lawns, Turfland, Spearhead and Stewarts Turf. The four Companies merged 2 years ago but the only thing that changed was the name and the logo. We still have the same (ultra-experienced) staff and we still work to high standards. 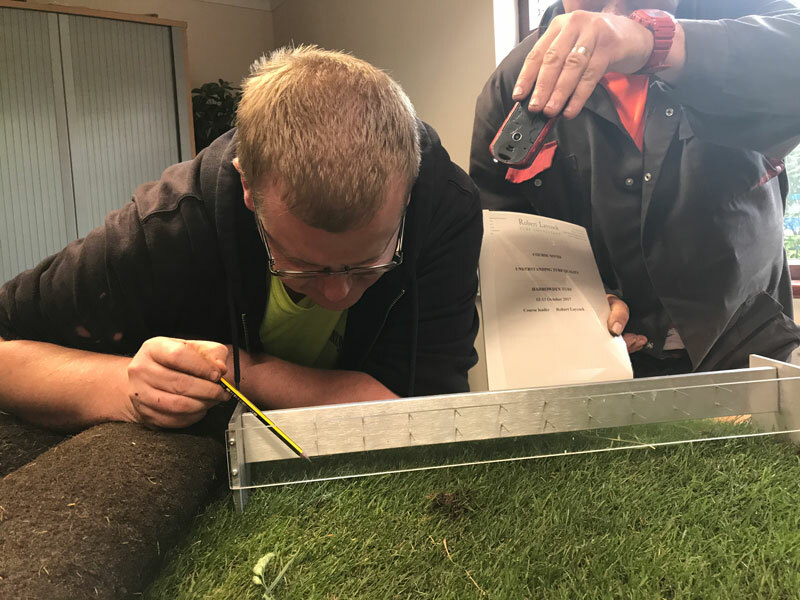 If you’ve not worked with any of our products since all the administrative changes, come along to stand D127 where you’ll be able to see the turf, handle it and quiz Kevin and Mark about prices and service in your area. I think you’ll be pleasantly surprised at what’s on offer. This part of the business has never stopped growing since it was launched about 10 years ago. There are currently 5 varieties of Meadowmat available and they’re constantly being improved. Only this year, we managed to reduce the proportions of grass in Meadowmat for Birds and Bees and in Cottage Garden Meadowmat. Unfortunately, in November, it’s unlikely that any of the Meadowmat varieties will be in full bloom. However there will be samples on the stand so you can see how Meadowmat creates instant ground cover and offers a great deal of biodiversity. It’s a classic is Enviromat. Now in its 15th year since launch and still the industry leader. Whether you want low maintenance ground cover or an extensive living roof, Enviromat is the product for you. 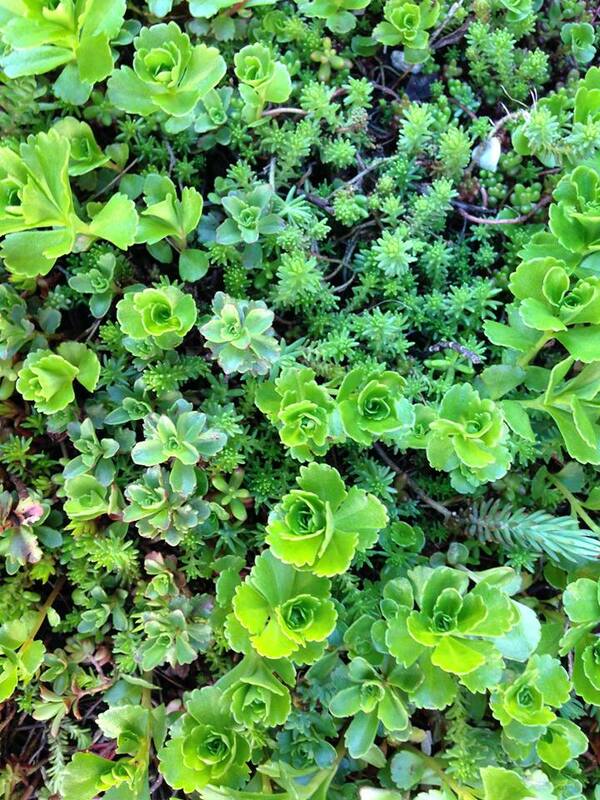 Enviromat sedum matting has the most amazing texture and makes great groundcover. Come and take a look. The texture is awesome at this time of year and I’m not sure that any other landscaping product can match it for versatility and year round beauty. What and where is Futurescape? Futurescape is held at Sandown Racecourse in Surrey on 14th November. It’s an exhibition of landscaping machinery and products especially for landscape contractors and garden designers. The emphasis is on the hands-on nitty gritty of running a landscaping business. This is reflected in the free seminar program.